A Roswell and Carlsbad man were killed early Sunday morning when their vehicle was struck head-on by a semi-truck on U.S. 285 near Loving. 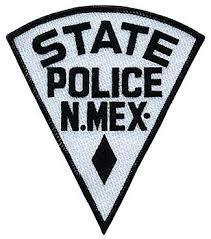 New Mexico State Police were dispatched around 7:30 a.m. Sunday to U.S. 285, mile marker 17, in reference to the accident. Initial determination revealed a 2004 Freightliner semi-truck was traveling north on 285 when, for reasons still under investigation, it crossed the center line into the south lane. The semi sideswiped a southbound 2007 Freightliner semi-truck, then impacted a southbound 2013 Dodge pickup head-on. The driver and passenger of the Dodge, 39-year-old Micheal Ponce of Roswell and 60-year-old Fernando Garcia Martinez of Carlsbad, sustained fatal injuries and were pronounced dead at the scene. The drivers of the two semi-trucks were uninjured. The wreck remains under investigation with charges pending against the driver of the 2004 semi. Police say the driver will not be identified until charges are filed and that alcohol does not appear to have been a factor.